When you receive a vaccine against a disease like polio or influenza, your immune system gears up to defend against that particular infection. If you wind up getting chickenpox instead, or even a slightly different strain of the flu, you would be out of luck. That's because traditional vaccines enlist the adaptive immune system, the functions of which are carried out largely by hyperspecific T and B cells, each targeted to a particular threat. But what if a more general vaccine existed, that could steel the immune system against threats of various sorts, from infection to chemotherapy? In a new paper, published in Cell, researchers at the University of Pennsylvania collaborated with an international team to show how the innate immune system, which responds more generally to dangers detected in the body, can be trained to "remember" past threats and respond more robustly to future challenges. The scientists show that this innate immune training, mediated, for instance, by the compound β-glucan, derived from fungus, takes place at the level of the bone marrow. The findings point to a strategy by which one could prime the immune system prior to entering a situation where the risk of contracting an infection was high, or prior to receiving chemotherapy to avoid neutropenia, a depletion of the immune system's neutrophils. "Taking β-glucan prior to chemotherapy would be a very good application," said George Hajishengallis, Thomas W. Evans Centennial Professor in the School of Dental Medicine's Department of Microbiology, "and in the case of infections β-glucan would activate your innate immune system so it would be poised to respond much faster and stronger to an infection." Hajishengallis was a co-senior author on the work along with Mihai G. Netea of Radboud University and the University of Bonn and Triantafyllos Chavakis, the corresponding author, of the Technical University of Dresden. Until relatively recently, the dogma in immunology was that the adaptive immune system possesses a memory, which is why vacccines are effective even years later, while the innate immune system does not. In the last several years, however, a handful of studies by Netea and others have challenged this notion, showing that the innate immune system can be trained to have a robust response by challenging it with various stimuli, such as β-glucan, a sugar molecule found in fungus. These initial investigations of innate immune training suggested that this effect was mediated by epigenetic changes to mature myeloid cells: neutrophils, monocytes, macrophages and others. But, because these mature cells survive only a day or two and the training effect can last months, Hajishengallis, Chavakis, Netea and colleagues knew there had to be some other mechanism at work. Their hypothesis was that the changes had to somehow affect the bone marrow, the site of hematopoetic stem cells, or HSCs, and specifically those that serve as myeloid cell precusors. To test this prediction, they gave mice a single injection of β-glucan and found that within a day their HSCs expanded in number. "But it was not a random expansion," Hajishengallis said. "There was a bias toward myelopoesis," that is, the generation of myeloid precursor cells. What's more, they confirmed that the HSC changes were lasting. When they transplanted HSCs from mice that received either β-glucan or a control injection four weeks earlier into mice lacking HSCs, they found that the mice that received cells from the β-glucan group produced more cells of myeloid lineage. To see if this myeloid cell expansion had a protective effect, the researchers challenged mice that had received β-glucan or a control with a substance that mimics a bacterial infection. They found that the β-glucan mice had a greater production of myeloid cells and less evidence of DNA damage in their HSCs compared to the control group. The β-glucan challenge also had a beneficial impact after chemotherapy. While chemotherapeutics can deplete critical immune cells, the researchers found β-glucan stimulation resulted in mice having more white blood cells after treatment with two common chemotherapeutic drugs. These mice also lived longer than those that received a control injection. "Our findings may have significant therapeutic implications for chemotherapy-associated leukopenia," Chavakis said. These results do come with a caveat. The researchers note that, despite the protective effects from infection and chemotherapy, there are reasons to be cautious about innate immune training. 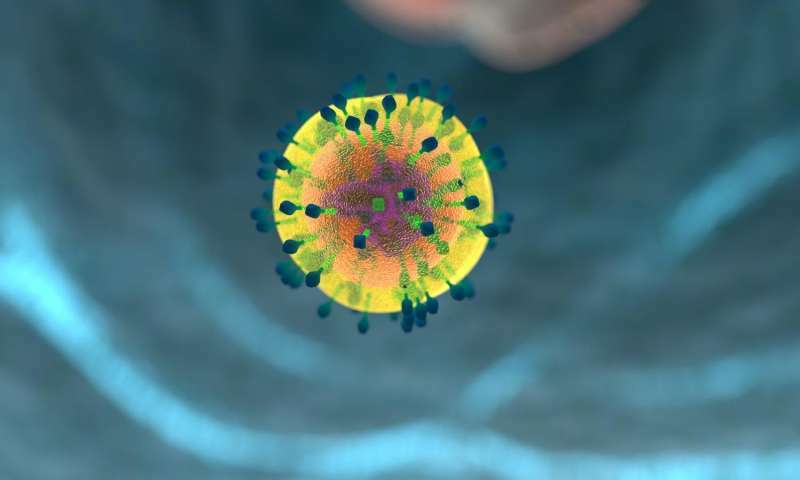 Amping up the innate immune system could cause an overabundance of inflammatory signaling, leading to problems such as tissue damage or autoimmune disease. "All these mice treated with β-glucan were healthy to start and their immune systems were invigorated," Hajishengallis said. "What we don't know is what would happen if the mice already had a chronic condition or were older. Their immune systems could be poised to overrespond to perceived dangers and worsen a chronic inflammatory disease." The researchers plan to follow up on their work along several avenues, including looking at innate immune system training in the context of ageing and seeing how it affects the course of a variety of disease conditions, including the gum disease periodonditis, an area in which Hajishengallis has expertise.